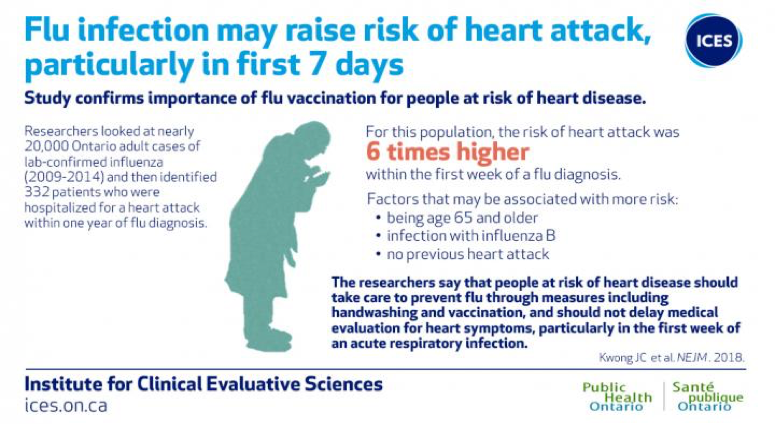 For week #10 (ending 3-9-19) the CDC reported that Influenza (Flu) activity, which includes diagnosed flu as well as ILI (Influenza-Like-Illness), remained widespread during Week #10. The percentage of respiratory specimens testing positive for flu decreased slightly again to 25.8% from 26.1% last week, all 10 Regions reported flu levels above their baselines, and the number of hospitalizations from flu continued to increase. The CDC expects flu and ILI activity to stay at elevated levels for the rest of March, however none of the numbers approach last season’s (2017/18) flu severity. In the samples tested, Influenza A viruses were the largest percentage of viruses. However, for the third week in a row this flu season, Influenza A(H3) was more prevalent nationally and continued to dominate in Regions 2 (NY, NJ, PI, & US VI), 4 (the Southeast), 5 (Eastern Central), 6 (South Central), 7 (Central Plains), 8 (Western Central) and 10 (Pacific Northwest). Overall, Influenzas A (H1N1), A (H3N2) and Influenza B viruses were co-circulating. The majority of the flu viruses were genetically similar to the 2018/19 Flu Vaccine, although vaccine protection numbers have not been as high in previous seasons with Influenza A(H3) strains circulating since they are more likely to genetically change during a flu season. The CDC has published its 2018/19 Flu Season Preliminary Burden Estimates, and from October 1, 2018 through March 9, 2019, and there have been an estimated with 25.5 – 29.3 million flu illnesses, 11.8 – 13.8 million medical visits for flu, 327,000 – 394,000 flu-related hospitalizations, and 21,500 – 35,500 flu deaths. FirstWatch RIN (Regional Influenza Network): RIN Alerts for Week #10 repeated a slight decrease. Influenza-like illness (ILI) visits to clinics & other non-hospital facilities decreased slightly to 4.5% (l. w. 4.7%), but remained well above the national baseline of 2.2%. All 10 regions reported ILI at or above their region-specific baselines, with a range of 3.0% to 8.5%. Thirty (30) states reported high ILI activity. Flu cases, documented by positive flu tests of respiratory specimens, were reported as Widespread in Puerto Rico and 46 states. Clinical lab testing for influenza was positive for 25.8% of specimens, compared to 26.1% last week, with a range of 13% (Region 9) to 34% (Region 8). All regions were in the double digits, with six (6) at > 20% (3 of them at > 29.0%) and two (2) at > 30%. Influenza A remained the dominant flu for 97.2% of the flu tests reported (the exact same as the last 2 weeks), and the H3N2 subtype remained the dominant Influenza A virus at 61.3% (62% last week), as A(H1N1)pdm09 viruses increased slightly to 38.7% (38% last week). The rest of the tests showed 2.8% (same as last 2 weeks) tested as Influenza B viruses, with Yamagata at 20% and Victoria at 80%. Typically, Influenza B viruses occur more towards Spring and cause less severe illness. This pattern is mirrored in much of the world. The Hospitalization rate from Flu increased to 41.3 per 100,000 (last week 36.6/100,000). Older adults (age > 65 years) had the highest hospitalization rate at 123.9 per 100,000 (l.w. 107.7/ ); children (ages 0-4) had 54.8 per 100,000 (last week 49.3/ ), and adults (age 50-64 years) were at 54.0 per 100,000 (l.w. 48.4/ ). Most hospitilizations, 95.6% (l.w. 95.4%), were caused by Influenza A viruses; 3.6% (l.w. 3.8%) were from Influenza B viruses; 0.3% (again the same) showed co-infection with both Influenza A and B viruses; and 0.5% (same as the last 4 weeks) were not typed for a specific flu virus. As of 3/14/19, the death rate for pneumonia & influenza in adults was at 7.2%, just below the epidemic threshold of 7.3% for week #9 (death reports often aren’t reported for data purposes the same week and are typically reported by the CDC a week behind). There were another four (4) pediatric deaths attributed to flu reported this week, occurring in Weeks 6, 9, & 10, for a total of 68 for this Flu Season. According to the Public Health Agency of Canada (PHAC), for Week #10, ending 3/9/19, when grouped as a nation, most indicators showed similar or slightly increased levels of flu activity when compared to the week prior. Influenza was reported in almost all the Regions, though circulation was at greater levels in the Eastern Regions. The PHAC also reported that while Influenza A(H1N1)pdm09 had been the dominant flu virus up until now, reports of Influenza A(H3N2) have been increasing since the middle of Jan anddgdg was at 56% this week. Meanwhile, little Influenza B has been identified this season, when compared to other seasons. According to the European Center for Disease Prevention & Control (ECDC), for Week # 10 (Mar 4 – 10, 2019), Influenza activity remained widespread throughout the European Region. The samples taken from those with ILI or ARI (acute respiratory illness) by sentinel primary healthcare sites, showed 42% positive for flu viruses, compared with 41.8% last week. The majority of circulating viruses remained Influenza A, with A(H1N1)pdm09 detected a bit more than A(H3N2) and with very few Influenza B viruses found. Data from 22 Member States reported a continued decrease in the excess mortality, compared to previous weeks, but was still seen in those aged >65 overall, as well as some in the 15 – 64 age group.